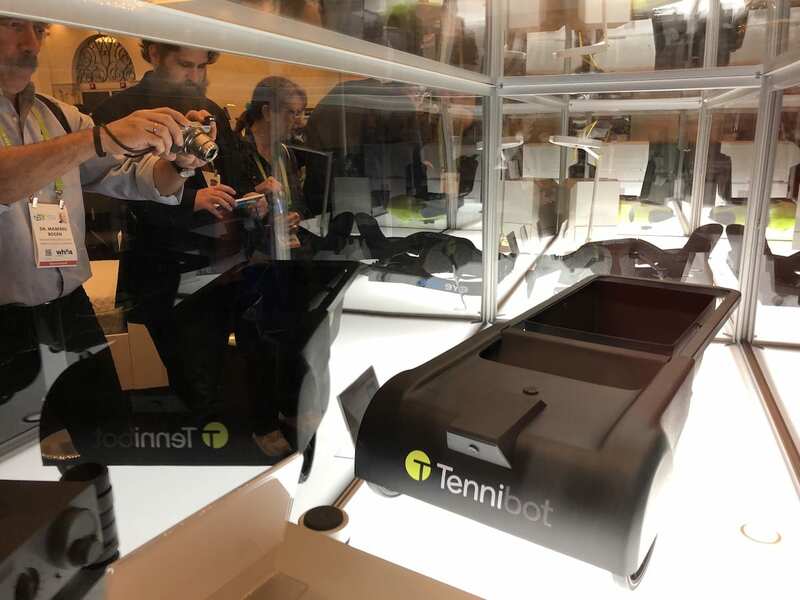 Sometimes the best innovations at CES are the smallest – LET'S TALK ROBOTS! The 2018 Nissan Leaf receives CES2018 Tech For a Better World Innovation Award. Cars, cars, cars, cars. 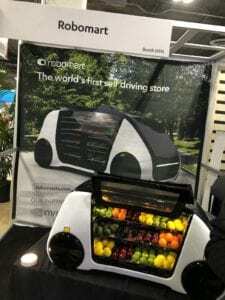 CES2018, the Consumer Technology Association’s massive annual expo, was full of self driving electric and augmented cars. 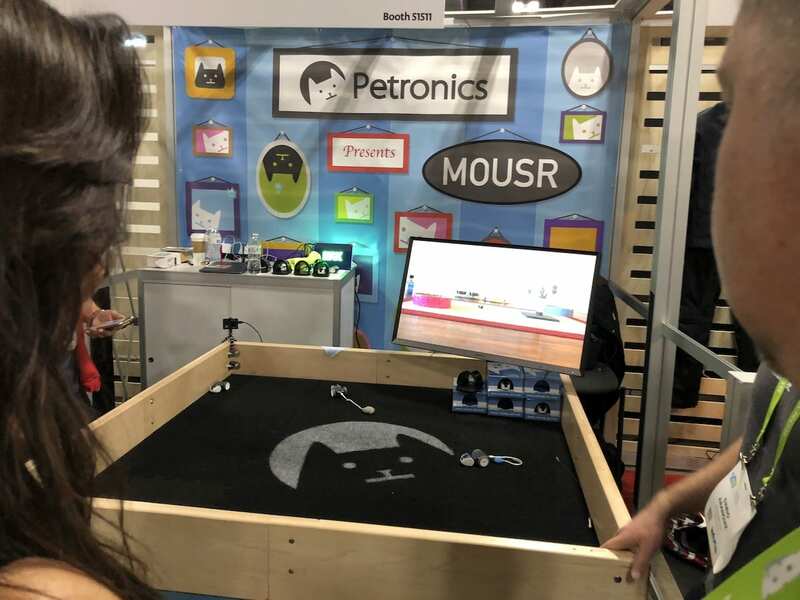 Every hardware startup should visit CES before they build anything. It has to be the most humbling experience any small robotics startup could have. CES2018 is what big marketing budgets look like. And as robotics shifts more and more to consumer facing, this is what the competition looks like. 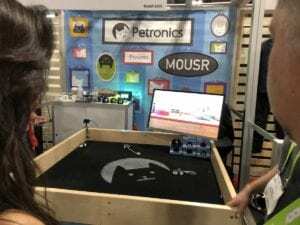 CES2018 covered a massive record breaking 2.75 million net square feet of exhibit space, featuring more than 3,900 exhibitors, including some 900 startups in the Eureka Park Innovation Zone. More than 20,000 products launched at CES 2018. 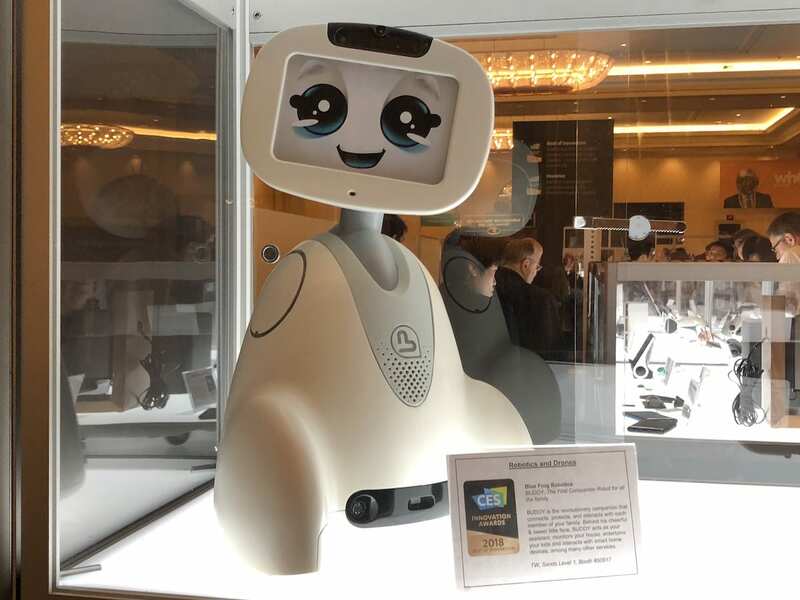 In 2014, we helped produce a special “Robots on the Runway” event to bring robotics to CES. Fast forward four short years and new robots were everywhere at CES2018, ranging from agbots, tennisbots, drones, robot arms, robot prosthetics and robot wheelchairs, to the smart home companion and security robots. 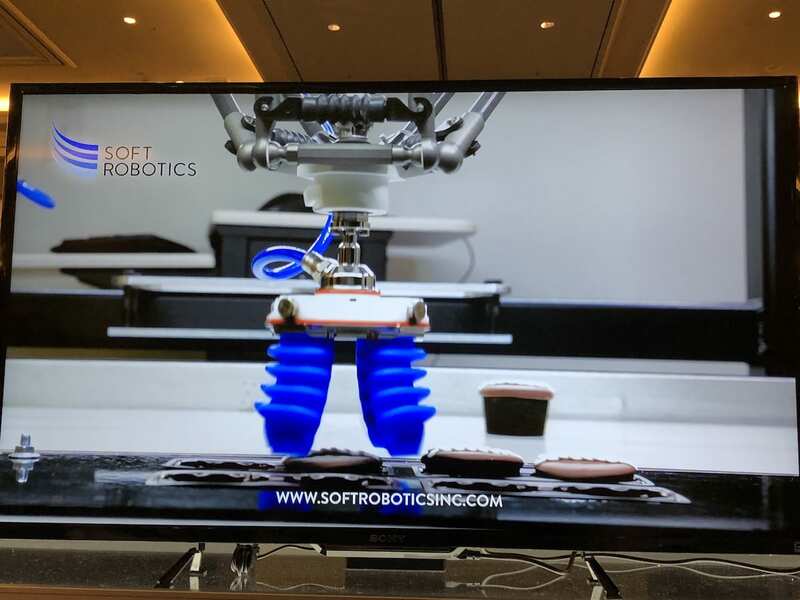 It was inspiring to see so many Silicon Valley Robotics members or Robot Launch startup competition alumni winning Innovation Awards at CES2018, including Sproutel’s My Aflac Duck, Soft Robotics, Tennibot, Foldimate, Whill, Buddy from Blue Frog Robotics and Omron Adept’s robot playing ping pong. For startups the big question is – do you build the car? Or the drone? Or do you do something innovative with the hardware, or create a platform for it? CES2018 is also shifting towards industrial and enterprise facing with their new Smart Cities Marketplace, joining the AI, Robotics, AR & VR marketplaces, and a slew of others. 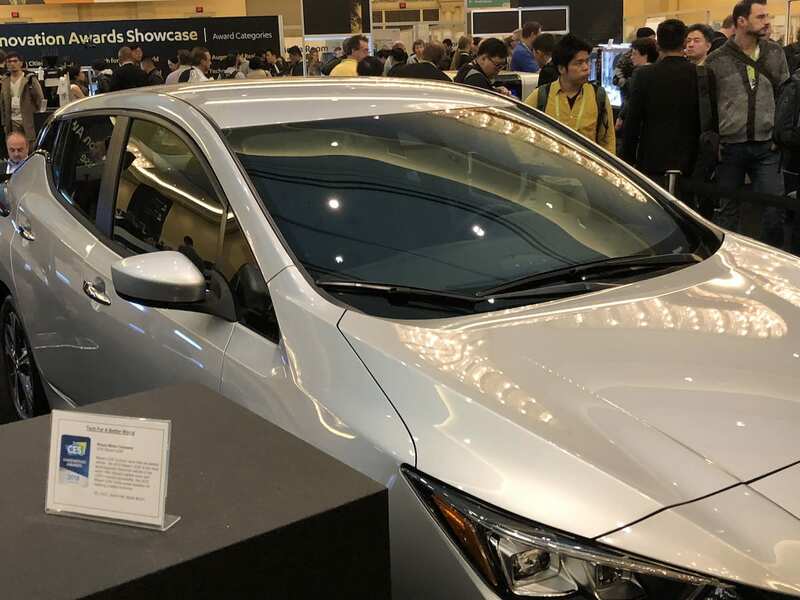 With some 300,000 NSF of automotive exhibit space, the vehicle footprint at CES makes it the fifth largest stand-alone automotive show in the U.S. and was backed up by conference sessions with politicians and policy makers. Intel celebrated innovation, explored what’s next for big data and set a Guinness World Record with its Shooting Star Mini Drone show – the most advanced software fleet of 100 drones controlled without GPS by one pilot. 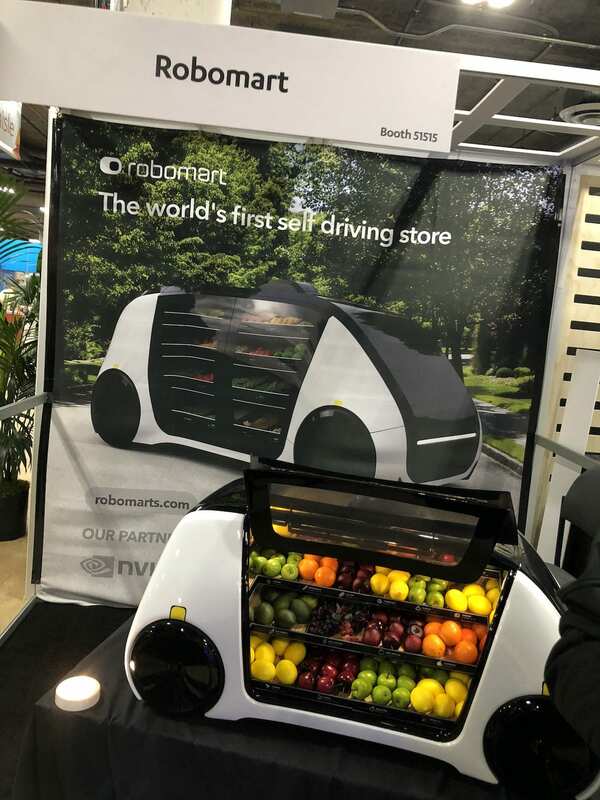 CES2018 was also a little conflicted about the rise of robotics. The marketing message this year was “Let’s Go Humans”, celebrating human augmentation. 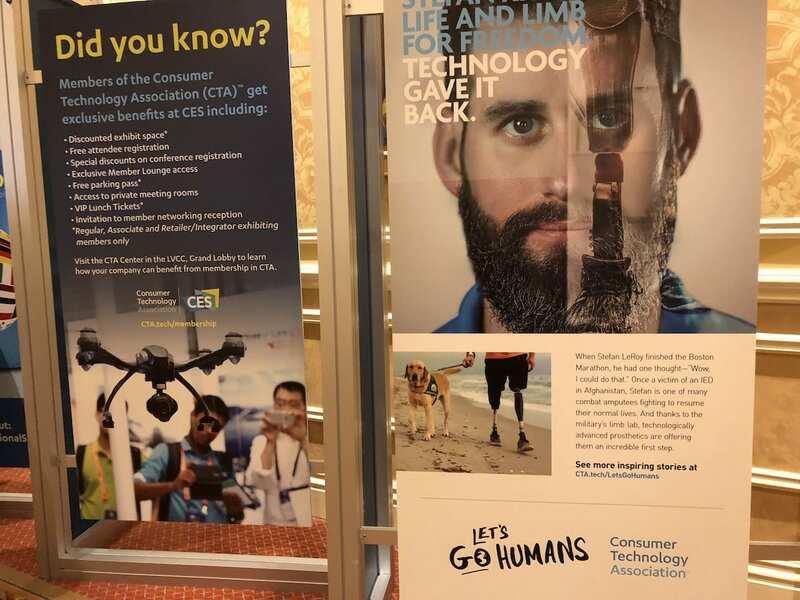 However, as the second ad panel shows, CTA recognize their main attraction is showcasing the latest technologies, not necessarily the greatest technologies. 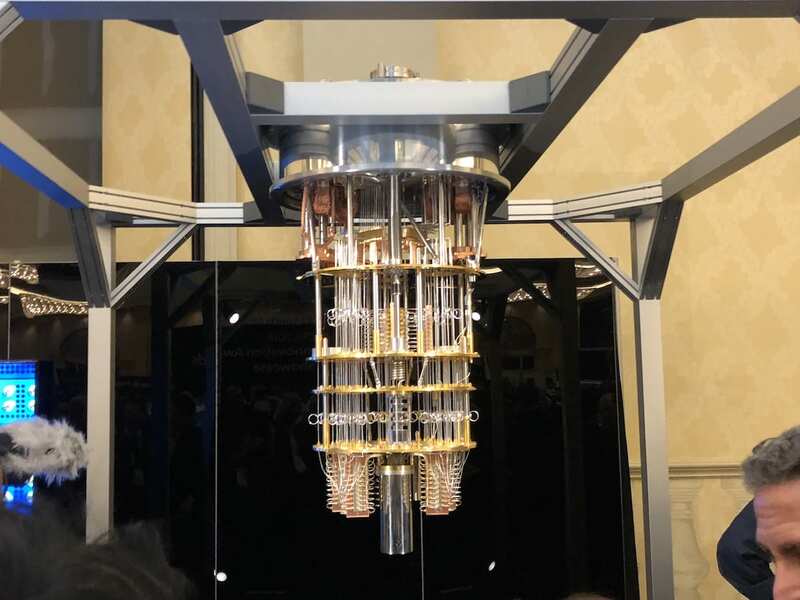 And from the looks of crowds around certain exhibits in the CES2018 Innovation Zone, after the carfest that was this year’s CES, all things Quantum will be the next big frontier. 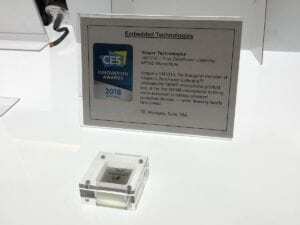 But I don’t think you have to be a Goliath at CES2018 to win the hardware market. 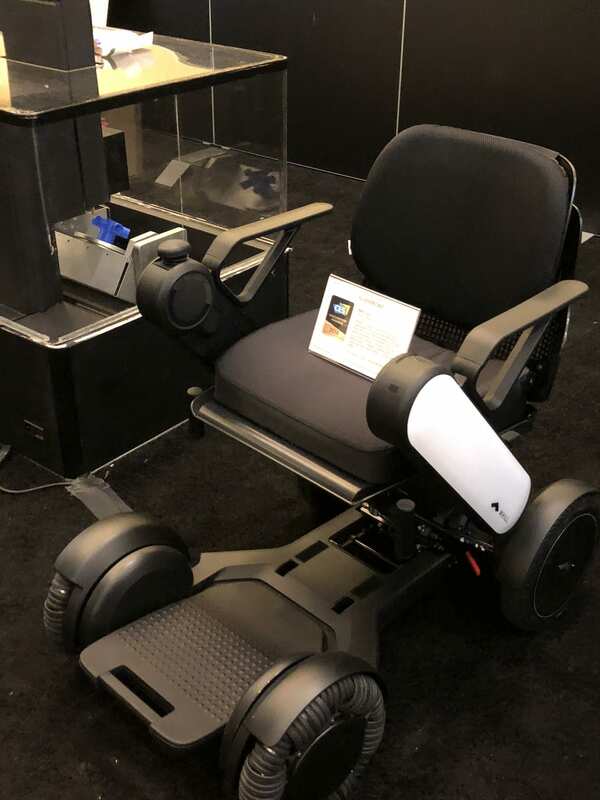 I was most impressed by a couple of ‘Davids’ not ‘Goliaths’ in my admittedly very short CES2018 tour. For example, Vesper’s VN1010 is the First ZeroPower Listening MEMS Microphone – a piezo electric embedded microphone chip that will allow virtually powerless voice recognition technology. 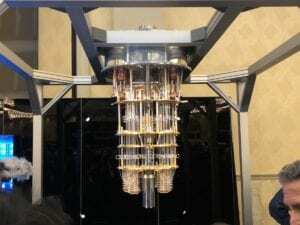 With voice interface being the primary method of communicating with all of these robots and smart devices, then this little chip is worth it’s weight in cryptocurrency. And there were robot pets everywhere. But forget the robot dogs and robot cats, shiny and metallic, plastic pastel or fur covered and cute as they were. Once again, I’m betting on the David of the field and plugging Petronic’s Mousr. I was as hooked as a feline on catnip when I saw the smart mouse in action. After a succesful Kickstarter, Mousr is now available for preorder with expected delivery in March 2018. 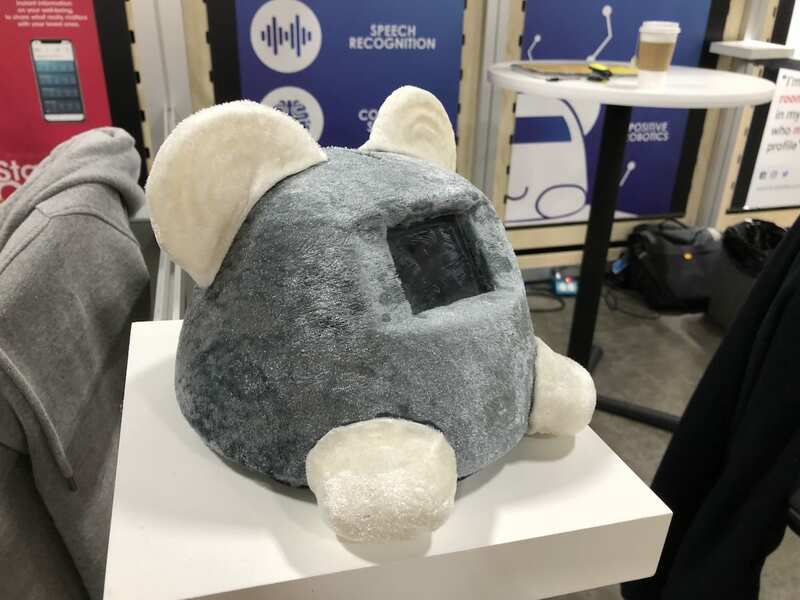 I’ve been badly burned ordering robots from crowdfunding campaigns more than once, but I ordered a Mousr anyway. One of many many robot pets at CES2018. But gorgeous! CES2018 also predicted that the 2018 tech industry revenue will be $351 billion dollars – a 3.9 percent increase over 2017. For the slides and more information, visit CTA.tech/salesandforecasts.